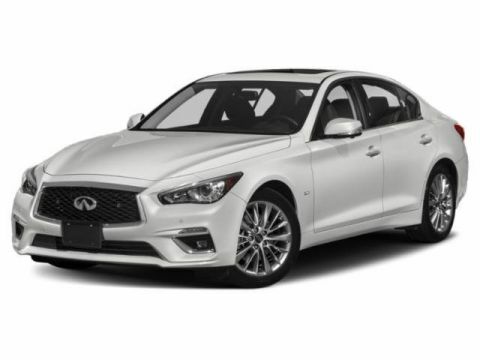 Holman INFINITI is pleased to offer this terrific-looking 2019 INFINITI Q50. 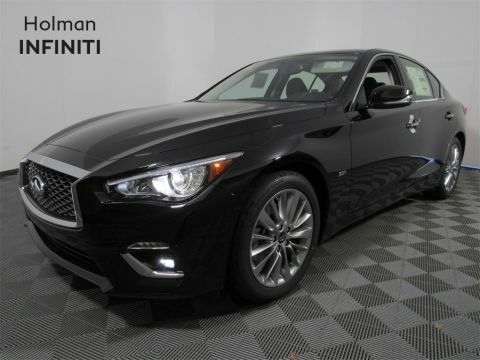 Black Obsidian 3.0t LUXE AWD The goal of our family owned and operated NJ INFINITI Dealership is to provide you with the INFINITI Total Ownership Experience®. This means that we go beyond just selling you a new or pre-owned vehicle - we deliver personalized service and professionalism whether you're buying, selling, servicing, or just browsing...every day...all the time...The Holman INFINITI Way! 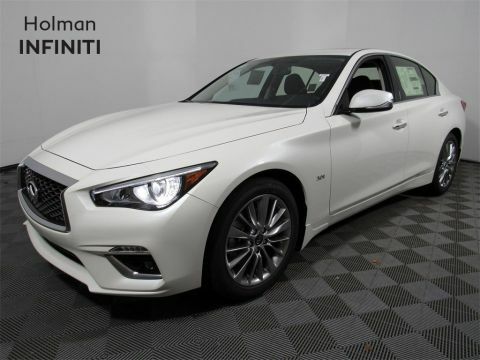 Holman INFINITI is pumped up to offer this gorgeous-looking 2019 INFINITI Q50. Liquid Platinum 3.0t LUXE AWD The goal of our family owned and operated NJ INFINITI Dealership is to provide you with the INFINITI Total Ownership Experience®. This means that we go beyond just selling you a new or pre-owned vehicle - we deliver personalized service and professionalism whether you're buying, selling, servicing, or just browsing...every day...all the time...The Holman INFINITI Way! 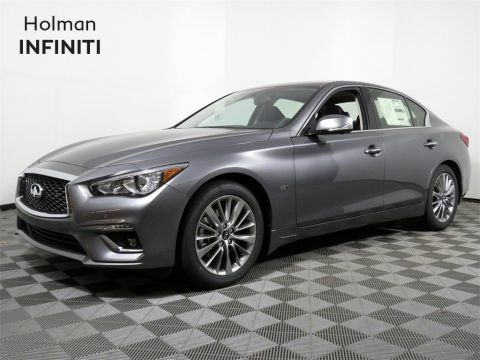 Holman INFINITI is pumped up to offer this fantastic 2019 INFINITI Q50. Liquid Platinum 3.0t LUXE AWD The goal of our family owned and operated NJ INFINITI Dealership is to provide you with the INFINITI Total Ownership Experience®. This means that we go beyond just selling you a new or pre-owned vehicle - we deliver personalized service and professionalism whether you're buying, selling, servicing, or just browsing...every day...all the time...The Holman INFINITI Way! 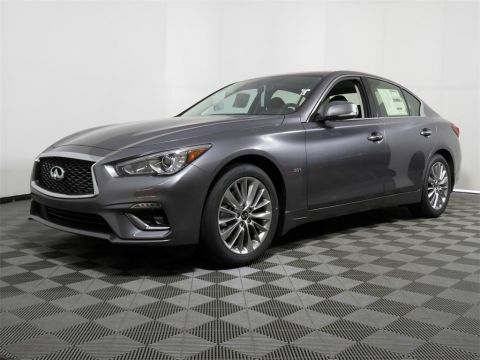 Holman INFINITI is pumped up to offer this good-looking 2019 INFINITI Q50. Liquid Platinum 3.0t LUXE AWD The goal of our family owned and operated NJ INFINITI Dealership is to provide you with the INFINITI Total Ownership Experience®. This means that we go beyond just selling you a new or pre-owned vehicle - we deliver personalized service and professionalism whether you're buying, selling, servicing, or just browsing...every day...all the time...The Holman INFINITI Way! 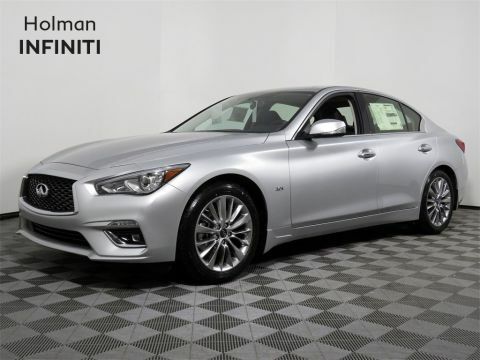 Holman INFINITI is honored to offer this charming 2019 INFINITI Q50. Majestic White 3.0t LUXE AWD The goal of our family owned and operated NJ INFINITI Dealership is to provide you with the INFINITI Total Ownership Experience®. This means that we go beyond just selling you a new or pre-owned vehicle - we deliver personalized service and professionalism whether you're buying, selling, servicing, or just browsing...every day...all the time...The Holman INFINITI Way! 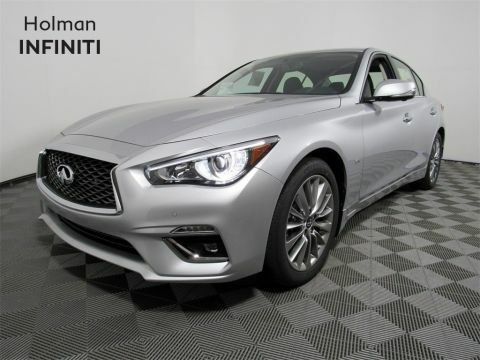 Holman INFINITI is delighted to offer this fantastic 2019 INFINITI Q50. Graphite Shadow 3.0t LUXE AWD The goal of our family owned and operated NJ INFINITI Dealership is to provide you with the INFINITI Total Ownership Experience®. This means that we go beyond just selling you a new or pre-owned vehicle - we deliver personalized service and professionalism whether you're buying, selling, servicing, or just browsing...every day...all the time...The Holman INFINITI Way! 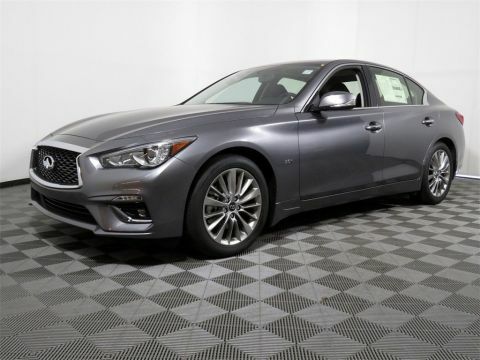 Holman INFINITI is pleased to offer this gorgeous 2019 INFINITI Q50. Graphite Shadow 3.0t LUXE AWD The goal of our family owned and operated NJ INFINITI Dealership is to provide you with the INFINITI Total Ownership Experience®. This means that we go beyond just selling you a new or pre-owned vehicle - we deliver personalized service and professionalism whether you're buying, selling, servicing, or just browsing...every day...all the time...The Holman INFINITI Way! 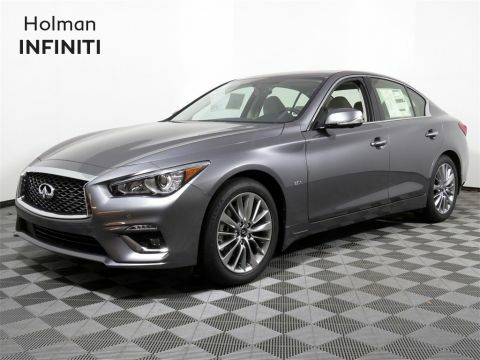 Holman INFINITI is excited to offer this great-looking 2019 INFINITI Q50. 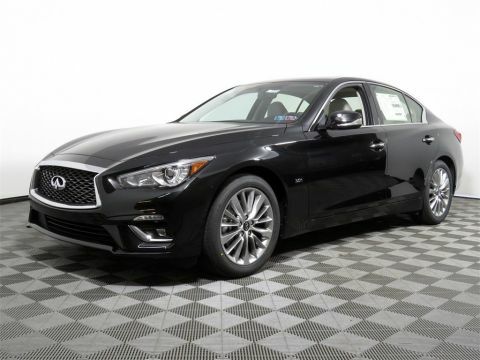 Black Obsidian 3.0t LUXE AWD The goal of our family owned and operated NJ INFINITI Dealership is to provide you with the INFINITI Total Ownership Experience®. This means that we go beyond just selling you a new or pre-owned vehicle - we deliver personalized service and professionalism whether you're buying, selling, servicing, or just browsing...every day...all the time...The Holman INFINITI Way! 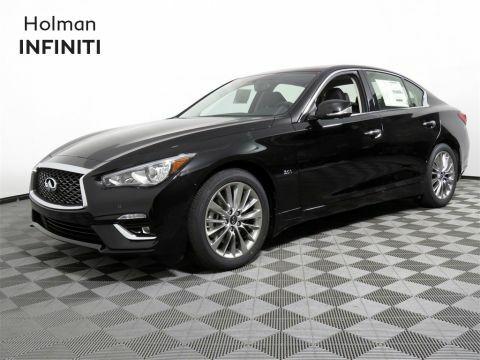 Holman INFINITI is very proud to offer this good-looking 2019 INFINITI Q50. Graphite Shadow 3.0t LUXE AWD The goal of our family owned and operated NJ INFINITI Dealership is to provide you with the INFINITI Total Ownership Experience®. This means that we go beyond just selling you a new or pre-owned vehicle - we deliver personalized service and professionalism whether you're buying, selling, servicing, or just browsing...every day...all the time...The Holman INFINITI Way! 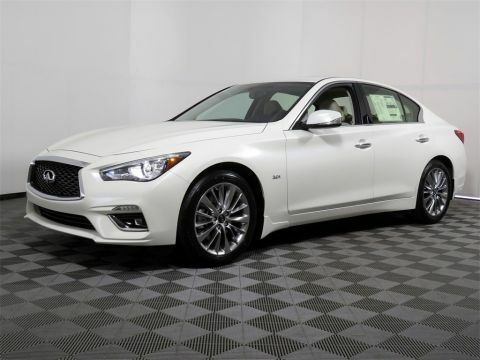 Holman INFINITI is pleased to offer this charming-looking 2019 INFINITI Q50. Liquid Platinum 3.0t LUXE AWD The goal of our family owned and operated NJ INFINITI Dealership is to provide you with the INFINITI Total Ownership Experience®. This means that we go beyond just selling you a new or pre-owned vehicle - we deliver personalized service and professionalism whether you're buying, selling, servicing, or just browsing...every day...all the time...The Holman INFINITI Way! 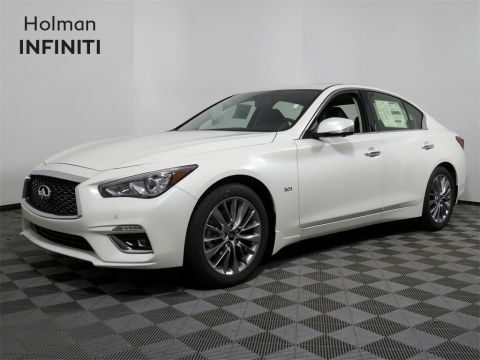 Holman INFINITI is proud to offer this gorgeous-looking 2019 INFINITI Q50. 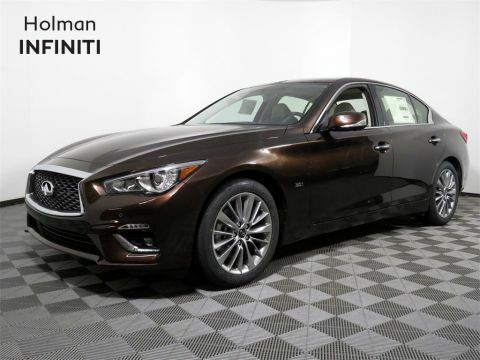 Mocha Almond 3.0t LUXE AWD The goal of our family owned and operated NJ INFINITI Dealership is to provide you with the INFINITI Total Ownership Experience®. This means that we go beyond just selling you a new or pre-owned vehicle - we deliver personalized service and professionalism whether you're buying, selling, servicing, or just browsing...every day...all the time...The Holman INFINITI Way! 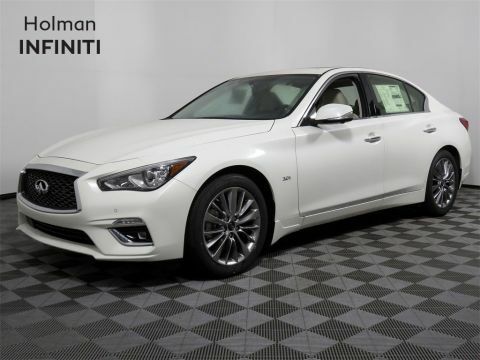 Holman INFINITI is proud to offer this superb-looking 2019 INFINITI Q50. Majestic White 3.0t LUXE AWD The goal of our family owned and operated NJ INFINITI Dealership is to provide you with the INFINITI Total Ownership Experience®. This means that we go beyond just selling you a new or pre-owned vehicle - we deliver personalized service and professionalism whether you're buying, selling, servicing, or just browsing...every day...all the time...The Holman INFINITI Way! 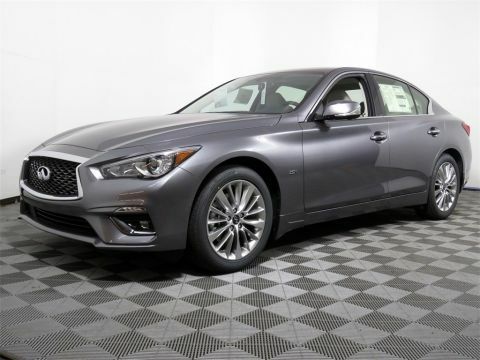 Holman INFINITI is delighted to offer this good-looking 2019 INFINITI Q50. Majestic White 3.0t LUXE AWD The goal of our family owned and operated NJ INFINITI Dealership is to provide you with the INFINITI Total Ownership Experience®. 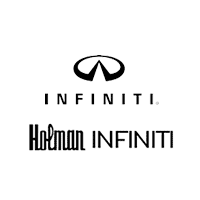 This means that we go beyond just selling you a new or pre-owned vehicle - we deliver personalized service and professionalism whether you're buying, selling, servicing, or just browsing...every day...all the time...The Holman INFINITI Way!